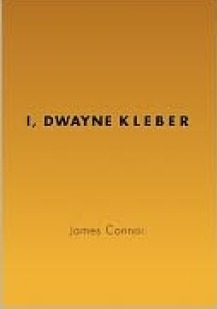 James Connor’s I, Dwayne Kleber offers readers a snapshot of a young teenager growing up in Philadelphia in the late 1960s. When his mother becomes pregnant and quits her job, it’s up to Dwayne and his twin brother, Reggie, to bring in extra money. Dwayne gets a paper route, but realizes one route won’t be enough to earn the fifteen dollars a week that his father asks him to contribute to the family funds. He signs up for a second route, but the only one available is “Suicide Seventeen,” the most dangerous in Philadelphia. Facing the risks, Dwayne takes on the route, suffers the consequences, and in doing so, is exposed to some of the realities of the time. The author grew up and later taught in Philadelphia in the 1960s, so his book’s characters and setting seem realistic. Dwayne’s interactions with his family and friends all ring true, from his embarrassment at his dad’s singing in church to his efforts to impress a girl and his relationship with his twin. The dialogue, filled with slang and some swearing, feels natural, as does Dwayne’s matter-of-fact narration. In fact, it is Dwayne’s straightforward tone that helps authenticate the setting. The racial tensions, youth violence, and strain of the Vietnam War made for a complex time. But when Dwayne describes the way a white teacher is treated at school or how his brother is in a band associated with a local gang, there is no shock or drama. While these day-to-day episodes help paint an honest portrayal of a teen’s life in Philadelphia at the time, the author ultimately offers no more than a superficial portrait, and it is best appreciated as such. Perhaps because of the book’s pacing and short timeline (the story takes place over two weeks), there are no real moments of transformation or growth for the characters, although there are plenty of instances the reader can imagine Dwayne learning from in the future. The author alludes to themes and story lines that are left unexplored. Some of the book’s less than satisfying circumstances may be intentional on the part of the writer. Instead of wrapping everything up with a bow, he reminds readers that life doesn’t always present the most rewarding ending. Sometimes, like Dwayne, we may try to do something right and it won’t work out the way we intended. The notion of unresolved content presents opportunities for discussion and critical thinking, although the book’s use of mature language, however sparse and necessary, might make it difficult to use in some classrooms. I, Dwayne Kleber feels a bit underdeveloped in plot and characterization, but its highly realistic setting and unique perspective make for an interesting work.